Nowadays, Christofle still make beautiful cutlery. And they also make a huge selection of other silverware – beautiful, modern pieces that are destined to fit seamlessly into your life, adding a little bit of French luxury to every day. The seamless rings of the Vertigo collection are bold, sensual and subtly asymmetric, and maintain a simplistic air that is always in vogue. The Rectangular Hors d'Œuvre Plate maintains the silver plate of Christofle's heritage upon its frame, inside of which are nestled three individual portion trays in glass. The contrast of the reflective metal and the smooth transparency of glass create a fabulous display piece deserving of your very best hors d'œuvre. 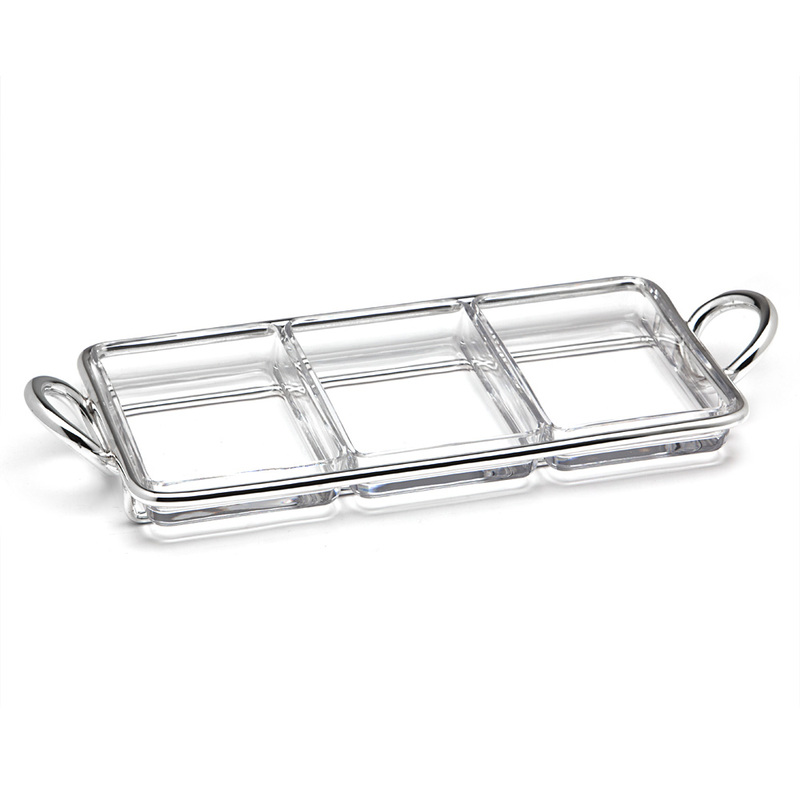 Portion trays made from glass. A beautiful way to present snacks at dinner parties. To clean the silver plate, polish with a silver cloth, and hand wash if necessary. Presented in a padded Christofle gift box.